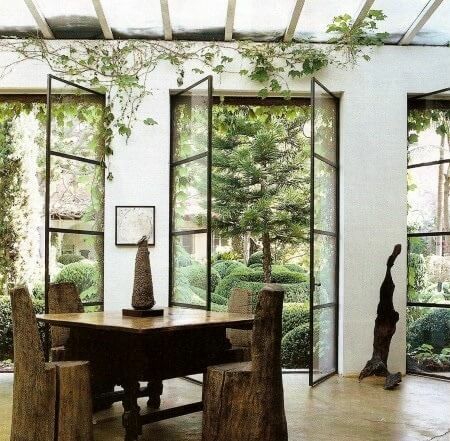 Above, a pair of folding glass doors set within a cased frame mimics the look of a wall of windows but melds within the traditional architectural style. 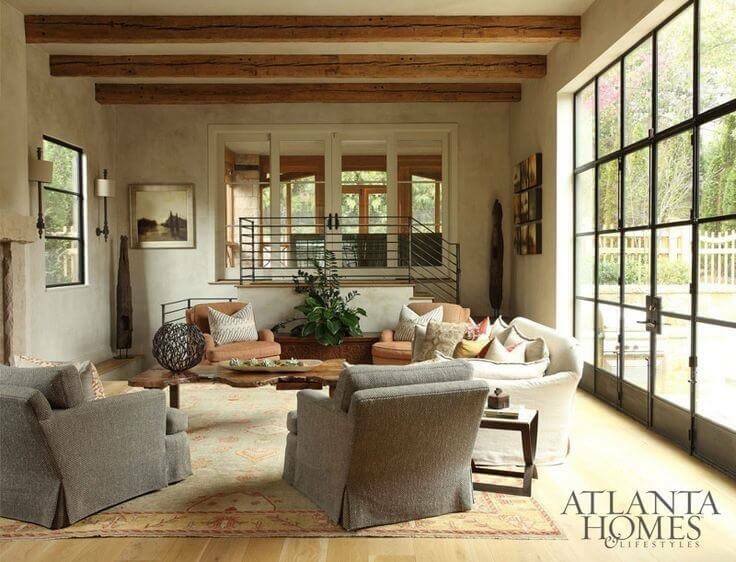 Designer Caroline Normark and architect D. Stanley Dixon collaborated on the old-meets-new design, which was featured in Atlanta Homes & Lifestyles. Want to get this look in your home? Head over to our SB Guide (for our Nashville area readers), find a local designer and get started! The SB Guide is currently up in Nashville, Birmingham and Memphis. We are coming soon to Atlanta, Louisville and beyond … !